9 MISC. 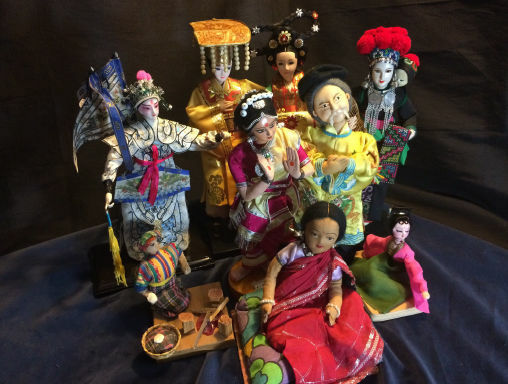 ASIAN DOLLS $75.00 Various dolls 12” to 4.5” high. Very good condition appear to be unused. Bright features, unfaded clothing, a mix of composition and cloth. 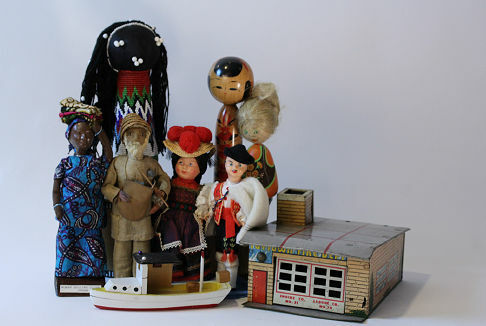 These Dolls can be placed on Lay-A-Way. Learn more here. A mix of 10” to 5” cloth, composition and wood dolld. Wood boat, metal gas station. All in very good condition. 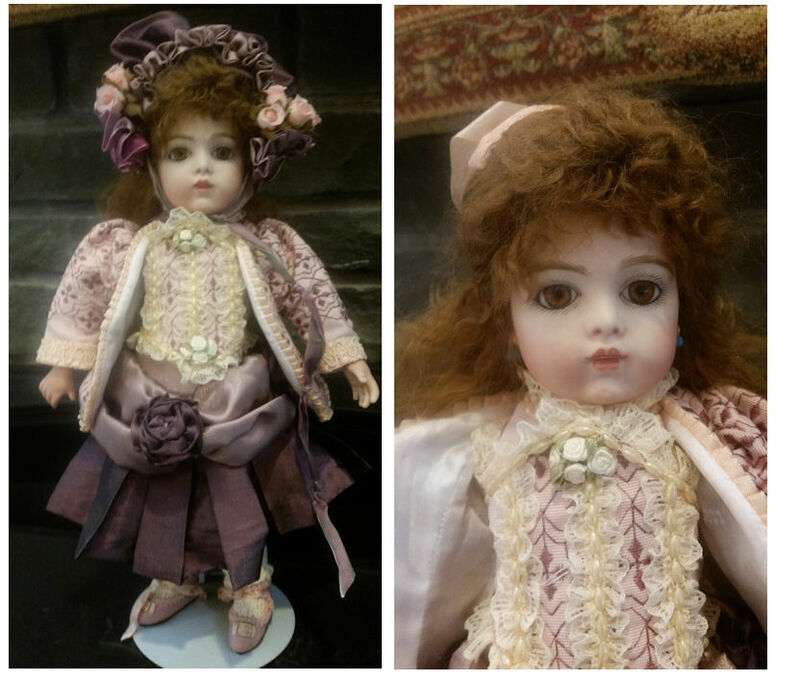 Porcelain head and lower arms, composition body, brown glass eyes, mohair wig. Dressed in beautiful pink, lavender and purple silk dress, over jacket, hat and bloomers. Earrings and pink leather shoes. 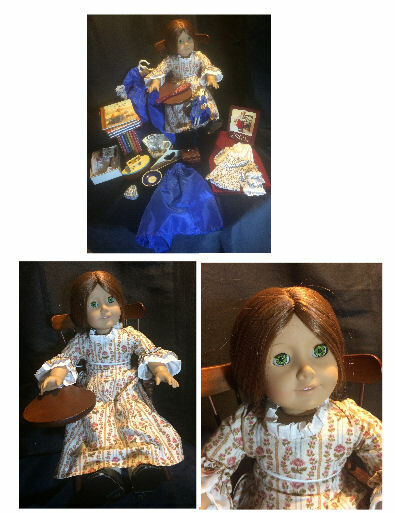 Doll in excellent condition, most accessories in original boxes. This Doll can be placed on Lay-A-Way. Learn more here. 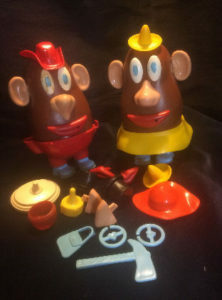 All plastic in very good condition with many assorted hats, noses, etc.